Compressors play an important role and have multiple uses that can be found in every industrial plant where compressed air or compressed gas tools are used, for cooling, heating and other many applications in a wide range of utilities. Compressor oils are therefore products, the choice of which is complex and requires extensive technical knowledge. The correct viscosity grade compressor oils are recommended for use in rotary screw, rotary vane, reciprocating and other compressor applications. 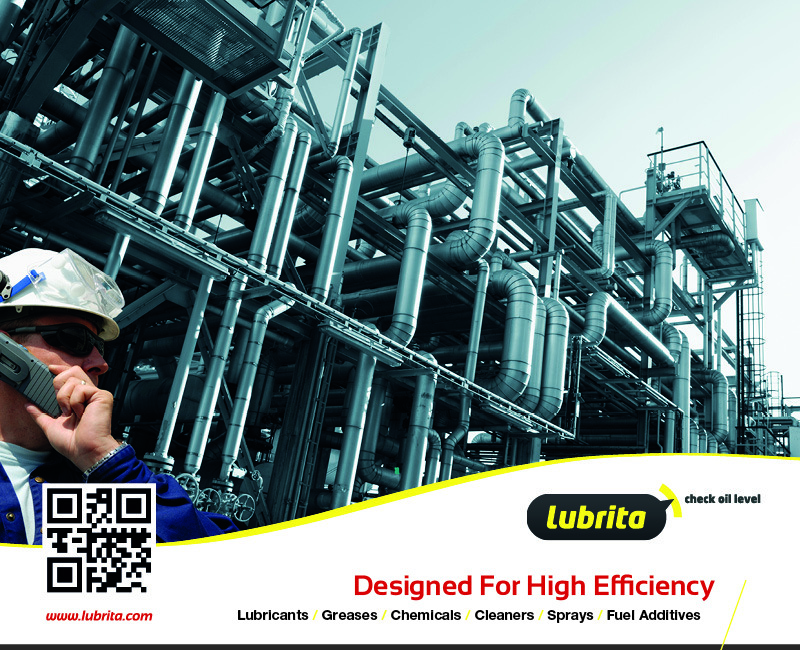 Lubrita Industrial Compressor Oil VDL series lubricants, meeting German Standard DIN 51506 Group VDL, are formulated with high solvent base stocks in combination with a special additive technology to achieve high oxidation resistance, good protection against rust, anti-foaming and wear and low carbon deposit formation in compressor parts. Testing of lubricants; determination of ageing characteristics of lubricating oils; Conradson carbon residue after ageing by passing air through the lubricating oil in the presence of iron oxide.